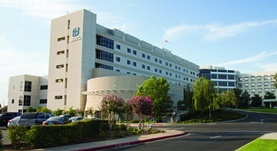 Dr. Glenn Hananouchi is a radiology specialist in Clovis, California and he works at several hospitals in the area, including Valley Children's Healthcare and Hospital and Fresno Surgical Hospital. He got his diploma from Saint Louis University School of Medicine and did his internship at Naval Hospital. Dr. Glenn Hananouchi completed his residency in Radiology at Naval Medical Center. The doctor is certified in Diagnostic Radiology and has an experience of more than 20 years. Dr. Glenn Hananouchi has contributed to 1 publications. Cardiac lipoma: six-year follow-up with MRI characteristics, and a review of the literature. Hananouchi, G. I., Goff, W. B.; Magn Reson Imaging. 1990.